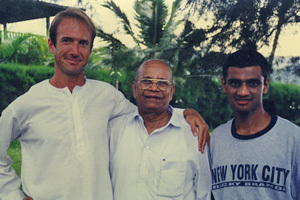 I was really lucky to be blessed with the inspiration and motivation to go to India in 1996 and meet such an amazing man. 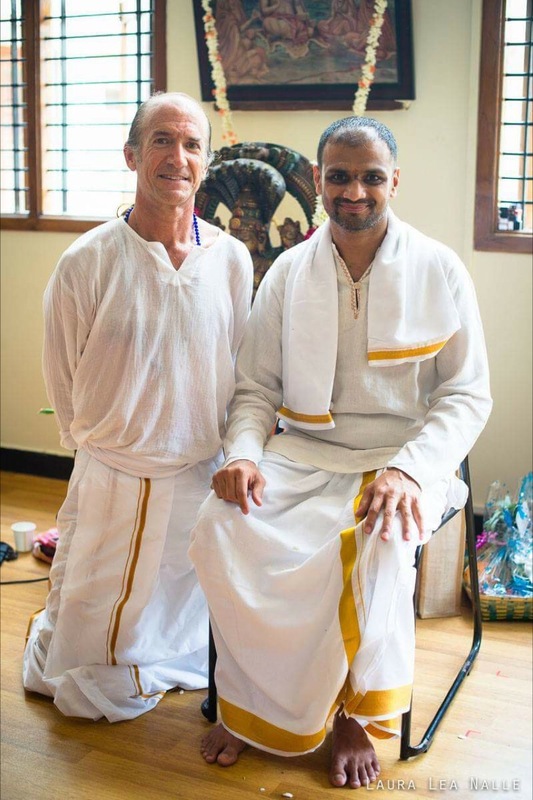 In California, I had heard amazing stories from yogis who had come back from Mysore, India…. stories of a man named Guruji. When I stepped into his shala for the first time, I will never forget his huge smile when I asked if I could study with him. He was a Sanskrit Scholar and Professor of vast proportions. 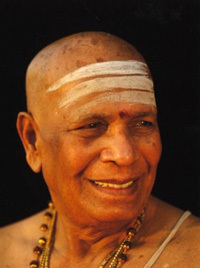 In his early days, he was well known for his ability to heal the local people of Mysore with yoga. He had such a sweet smile and always enjoyed saying hello and goodbye with his students. He could yell so loud to get you to do something and interestingly, there was no anger behind it. What I remember most about Guruji was that it was so obvious that Love was his motivation. 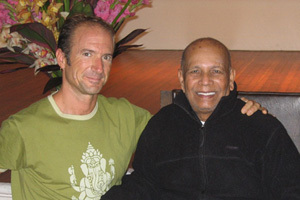 When he passed in May of 2009, it was amazing to observe and realize how one man had created such a rich community and a living yoga tradition. Thank you Guruji. 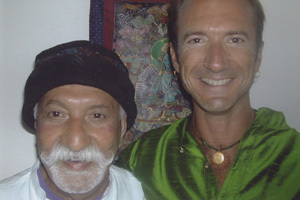 I met the Souf, (Greensufi) at a juice bar in Fairfax, Northern California right before on my first trip to India. It was August 1996. The owner of the juicebar introduced us since he knew we were both interested in yoga and music. At the time, Greensufi suggested some books for me to read and cites to visit on my trip. He told me that the real work would begin when I would return from India. For the next 14 years, we ended up working very closely and on a daily basis. Being his student was one of the most difficult and challenging endeavors this lifetime. I am eternally grateful to him for teaching me so much about life, listening, waking up, breathing, meditating, working and letting go. He coined the term Greenpath as his love for connecting with nature and the diurnal cycle of the Sun & Earth. He was an incredible lover of Indian Classical music. He was a mystic visionary and one of the smartest men I have ever met. We lived together for several years at the old Greenpath location in the Marina District of San Francisco. We would sit together for long periods of time, meditating as the Sun was about to rise. It is at this time of day and in my heart that I will always remember my Friend & guide, Greensufi. I first met Sharath in September of 1996 in Mysore. We would arrive at practice at Guruji’s house in Laxmipuram at 4:20 am and Sharath would be inside doing his practice. We could actually see him and he would sometimes be doing some crazy asana that none of us had ever seen. He would later unlock the door and let us in. 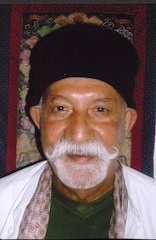 Soon afterwards, he would assist Guruji, his grandfather in the small 12 person shala. At the time Sharath was in his mid twenties. As Guruji aged, Sharath would take on more and more responsibilities. 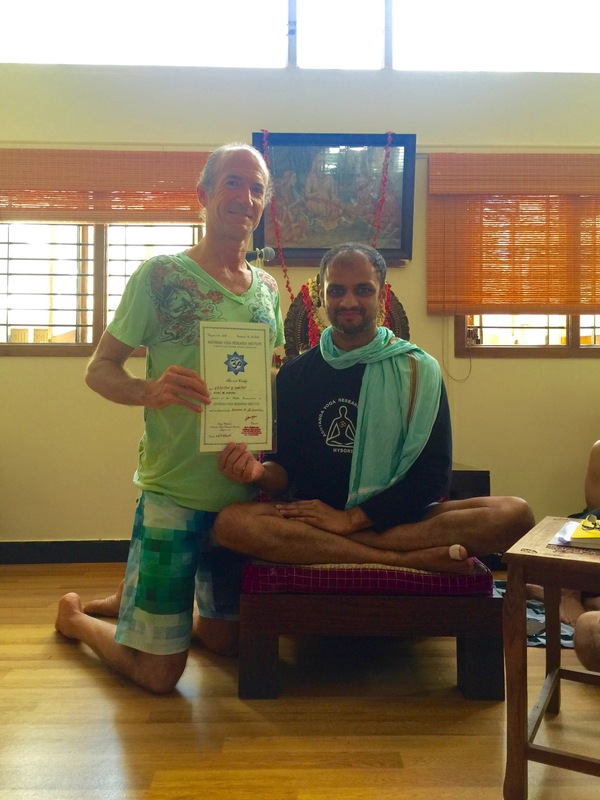 As Guruji passed, Sharath became the director of the Krishna Pattabhi Jois Ashtanga Yoga Institute’s new and larger shala in the Gokulam neighborhood in Mysore, India. Slowly and surely, Sharath is gracefully stepping into his grandfathers footsteps. Over the last few years, his kindness, ability to connect with his students and his love for Nature have become an inspiration for me.